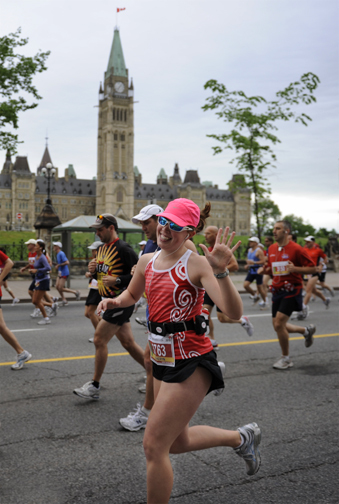 We missed a few finishers in our first search of the Ottawa race weekend results, including Katherine Cochrane (pictured) who now has her first marathon under her belt. And Keith Butler ran the marathon in 3:59:17. Pretty good time in any race but especially impressive when you consider he was pushing his friend John Grant in a wheelchair, and with 2 broken spokes at that! The updated list of NL Runners is HERE.